The historical center: excavation of the Cathedral of Naples, excavation of S.Lorenzo Maggiore, Napoli Sotterranea. This interesting tour shows the hidden city, offering an unusual view its rich history. Naples is an island floating on the hollow space of underground cavities. The town was built on a large stratum of tufa rock. Artificial caves were added to the natural ones since the early years of the city foundation. Greeks and Romans used the subsoil as a parallel city, opening aqueducts, catacombs, warehouses. The tufa has been until recent times the main building material and many quarries have been opened just underneath the town. Moreover, through ages Naples has developed in a strange way, growing layer by layer on a vertical line, the modern levels added on the oldest ones. Our walk starts from the excavation of the Cathedral of Naples where archeological remains from the Greek-Roman period have been found in the underground area. The tour will also feature the nearby excavation of S. Lorenzo Maggiore, underneath a gothic Angevin church. You will experience a walk through an area of the Greek-Roman Naples: a Roman street with ruins of shops, homes, and public buildings. The historical center: Cappella Sansevero, Via S.Gregorio Armeno, Duomo, Church of the Gesù Nuovo. 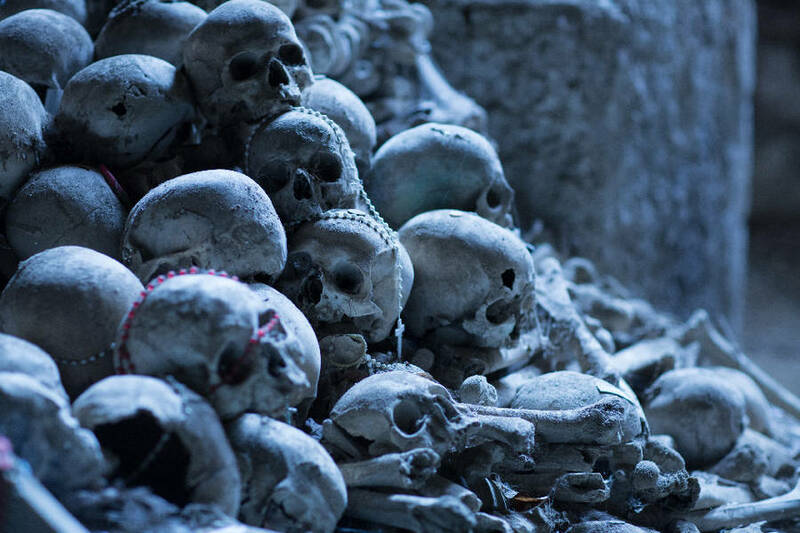 Naples is known as a mysterious and superstitious town, with a history which blends truth and imagination. 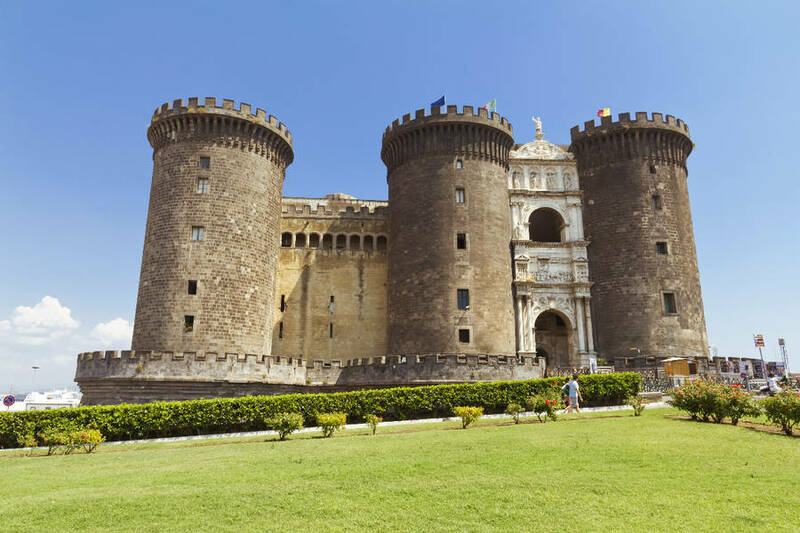 This tour, right in the heart of the historical center, will let you discover some of the mysteries and legends of Naples. We will visit the Sansevero Chapel, temple of Masonic symbolism and esoterism. 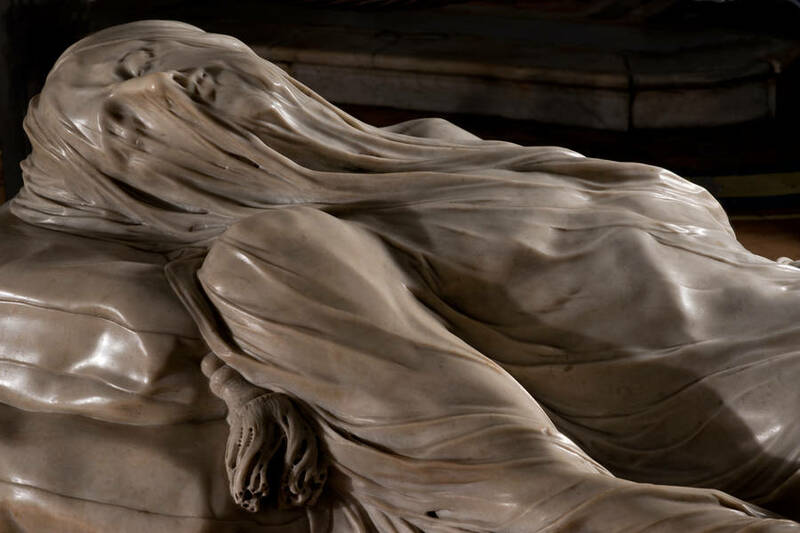 Surrounded by the 18th century marble masterpieces, such as the "Veiled Christ", you will learn the history of Prince Raimondo di Sangro, an alchemist and inventor who created two replicas of the human circulatory system, that can be seen beneath the Chapel. 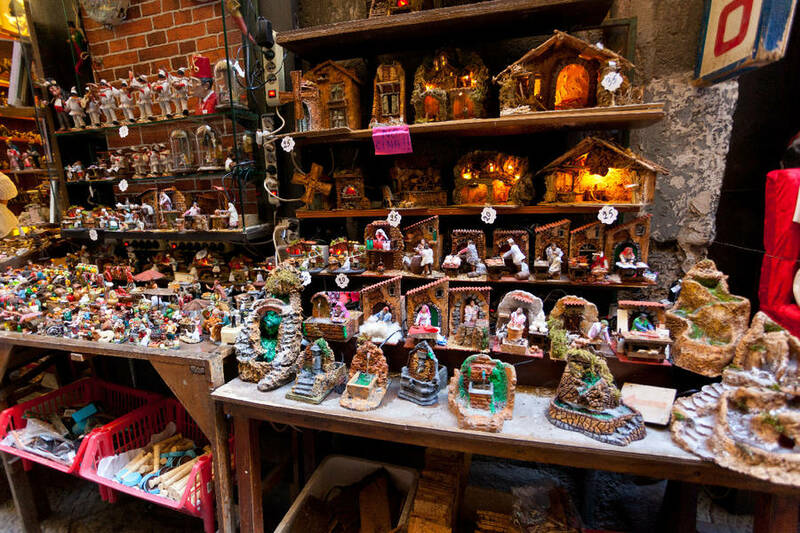 The tour will continue along the famous lane of San Gregorio Armeno, where the best artisans of terracotta Nativity scenes will show you their skills. We shall then visit the Duomo, the main church of the city, hosting one of the masterpieces of Neapolitan Baroque: the chapel of the Patron Saint of Naples, San Gennaro. Here twice a year, the coagulated blood of the Saint liquefies. Faith or superstition? Our walk continues along "Spaccanapoli", the main thoroughfare of the ancient Greek-Roman city. We shall end the tour with a visit to the Church of Gesù Nuovo, a beautiful example of Neapolitan baroque. The local sense of religion is shown by the reliquaries and ex-voto offerings displayed all over the church. Our visit will start from the Monastery of Santa Chiara, an important location in the history of Naples. Santa Chiara was where the kingdom's assemblies where held, as well as many official ceremonies. Its lovely cloister, with 18th century hand-painted majolica tiles, is a peaceful area in the middle of the city. The "Museo dell'Opera", recently opened inside the walls of the monastery, houses objects and decorative ornaments from Santa Chiara. In the section devoted to archaeology, you can see the ruins of a Roman bathhouse that extend outside the museum. The tour will continue through the very heart of the city center, with a visit to the San Carlo Theatre, the first opera house in Europe, built in 1737 during the kingdom of Charles of Bourbon. San Carlo is known for its magnificent architecture and excellent productions; the focal point of its auditorium, with six tiers of boxes, is the Royal Box, decorated by the crown of the Kingdom of the Two Sicilies. 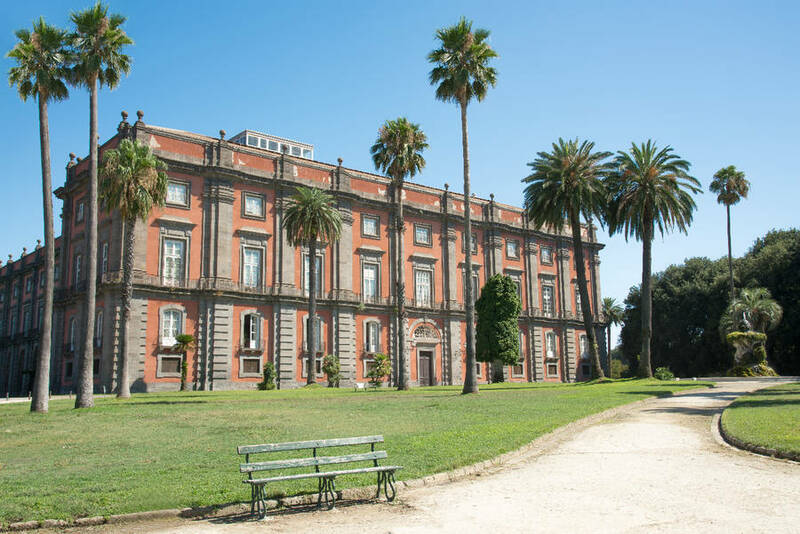 Next to the opera house we shall enter the Royal Palace of Naples, which has been for almost three centuries the official residence of the kings of Naples, until the unification of Italy. Its beautiful facade, which looks on the main square of Naples - Piazza del Plebiscito - embodies the statues of the most famous kings of the many dynasties which ruled upon the city and Southern Italy. In the Palace we will visit the Royal Apartment, with furniture pieces, household furnishings and paintings. The tour will also feature a visit to the Royal Theatre and the Palatine Chapel. The visit to the theatre might not be included as it is not currently open to the public. We will try to ensure a private viewing. The historic center: Spaccanapoli, S.Chiara, S. Savero, the Duomo, the S.Martino charterhouse. 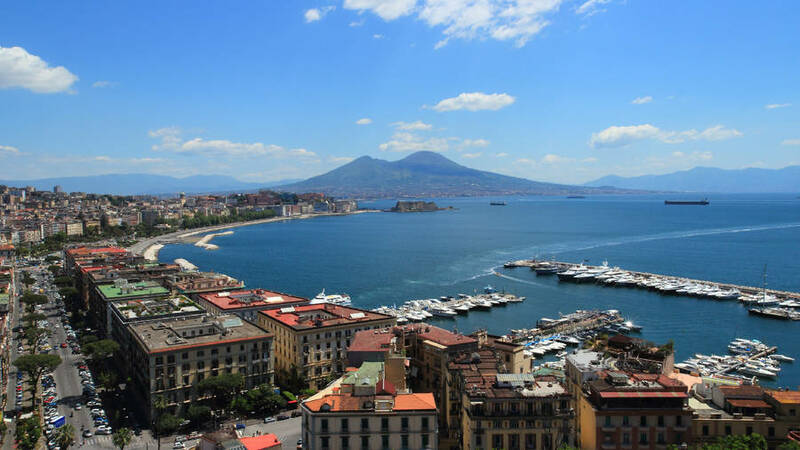 Naples as a capital city played an important role in the history of southern Italy. As with most capitals, Naples was home to many coexisting religious orders which left an incredible artistic patrimony to the city. Our visit will start from the Monastery of Santa Chiara, the sacred place that Neapolitan aristocracy preferred for the religious retreat of the noble ladies. Its history is the history of an exclusive monastery and, at the same time, a witness of the women's standings in the aristocratic world. Its lovely cloister, with 18th century hand-painted majolica tiles, is a peaceful area in the middle of the city. The "Museo dell'Opera", recently opened inside the walls of the monastery, houses objects and decorative ornaments from the monastery. In the section devoted to archaeology, you can see the ruins of a Roman bathhouse that extend outside the museum. You will proceed on foot through Spaccanapoli, to the Sansevero Chapel, temple of Masonic symbolism and esoterism. Surrounded by the 18th century marble masterpieces, such as the "Veiled Christ", you will learn the history of Prince Raimondo di Sangro, an alchemist and inventor who created two replicas of the human circulatory system, that can be seen beneath the Chapel. We shall then visit the Duomo, the main church of the city, hosting one of the masterpieces of Neapolitan Baroque: the chapel of the Patron Saint of Naples, San Gennaro. Here twice a year, the coagulated blood of the Saint liquefies. After lunch you will explore the unique Charterhouse of S.Martino. The Chartusian Monastery, beautifully located on the edge of the Vomero hill, with its splendid structure and works of art is the witness of the way rich monks lived. Opulence and prosperity were the philosophy of this important religious order: to be accepted in the monastery it was necessary to bring a rich dowry! 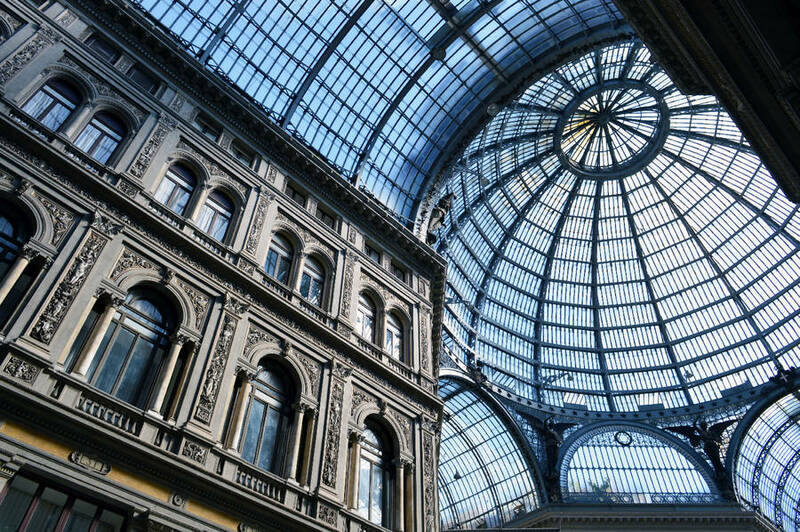 Naples is a vibrant city that has always inspired artists and painters, including Caravaggio. In 1606, during a furious brawl over a disputed score in a game of tennis, Caravaggio killed a man in Rome. Afraid to face the consequences of this murder, Caravaggio fled Rome for Naples, where he painted one of his masterpieces, " The Seven Acts of Mercy" for the Pio Monte della Misericordia. During this visit Caravaggio also painted " The Flagellation" for the de Franchis family, an altarpiece to hang in the family chapel in the Church of S.Domenico Maggiore where it stayed until 1972 when it was transferred to the Capodimonte Art Gallery. You will visit Church of S.Domenico Maggiore in the morning, where there is a copy of the Caravaggio's flagellation, and walk along the street which gave inspiration to the painter to The Pio Monte della Misericordia in order to see the "Seven Acts of Mercy". After lunch, we will visit the Art Gallery of Capodimonte, once a royal palace but now home to the excellent "Farnese Collection", with paintings by Raphael, Titian, Botticelli, Masaccio, Giovanni Bellini, El Greco, and of course Caravaggio's "Flagellation". There is no better place than Caserta to experience the life at the Court of the Bourbons during the 18th and 19th centuries. Built in 1752 by King Charles of Bourbon in order to compete with the French Versailles, the Royal Palace of Caserta, with its 1,200 rooms and a park of 120 hectares, is one of the most imposing Royal Palaces of Europe. You will walk through the rooms where the Bourbon Kings and Queens walked, gave public audiences, received Ambassadors and Prime Ministers, listened music and had amorous adventures. After the visit of the Palace you will enjoy the park, with its romantic fountains and English gardens, a real reserve of majestic trees and rare plants, where the first camellia plant appeared in Europe was grown. The garden is a typical example of an 18th century fashionable style in the European courts: walks, brooks, thickets, statues and artificial ruins. 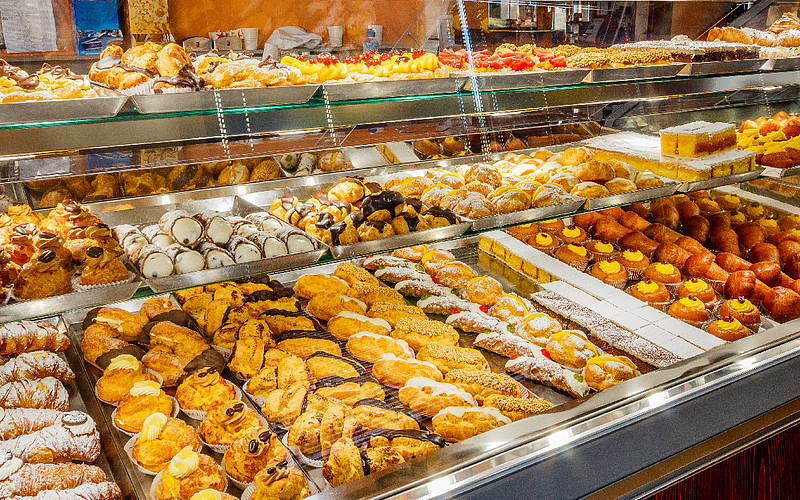 You will than proceed to Caserta Vecchia, a picturesque medieval village for lunch, and in the afternoon, you will experience the Royal Silk Manufacture of S.Leucio. Just a few kilometers from the Royal Palace, Ferdinand IV of Bourbon established the S.Leucio colony, where 214 workers lived organized upon the concept of absolute equality. Considered in political terms a model of open and progressive industrial organization it was an isolated experiment in the context of Bourbon society. The sovereigns often came to S.Leucio to control the silk processing and to enjoy a period of rest. You will visit the area with looms to see how silk was made as well as the residential part of the complex.